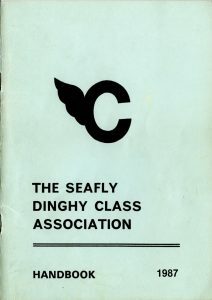 The SDCA published a Class Association Handbook containing the Association Constitution, Seafly Measurement rules, and also tips on tuning the Seafly, Branch Reports, etc. There was also an intermittent series of SDCA Newsletters. Those available for viewing are listed below. If you can provide copies of missing documents please Contact me! I will scan any publications provided and return the originals to you (unless you state otherwise). 1962-71 ? ? ? ? 1977 ? Spring ? ? 1978 ? ? ? ? 1981 January April ? ? 1982 January ? June ? 1988 February May ? ? 1995 Winter ? Summer ? 1997 ? April ? ?